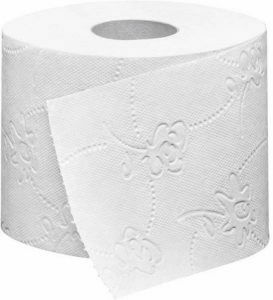 Toilet paper, also known as toilet tissue or bath tissue, is a product used on a daily basis in homes, offices, hotels, restaurants, and any other venue with an attached bathroom. Popular western brands like Charmin or Kleenex are either unavailable or too expensive to be cost-effective for India. Instead, brands like Selpak, Origami, Premier, and Renova are readily available, reasonably priced, and boast popular features like scented comfort, extra softness, cushiony thickness, faster disintegration technology, and the number of sheets in a roll. We will now explain, in detail, the points worth taking into consideration when choosing which toilet paper roll is best for you. We will provide recommendations based on price comparisons, use, functionality, special features, and product reviews of popular brands. We hope that our suggestions will help you find the perfect type of toilet paper, whether it be for your home or for your office! Toilet paper is a standard everyday item used multiple times in a day, often by a number of people, therefore to avoid running out of stock, people usually buy it in bulk. In this section, the different features you can find in various kinds of toilet paper will be explained. First, it is important to choose how many layers of ply you would like your toilet paper to have. The choice is not merely between 1-ply or 2-ply, as the main purpose of buying each is different as well. The number of sheets stacked together can affect the thickness, level of softness, as well as the comfort users might feel. Single ply toilet paper is double in length albeit much thinner than 2-ply toilet rolls. While there are some who argue that using 2-ply toilet paper results in less wastage due to the thickness of each sheet, this claim remains unproven. There is no concrete proof which shows that 1-ply users require more sheets of toilet paper than 2-ply users. 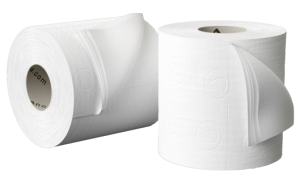 In general, a manufacturer will charge the same price for their single and double ply rolls, because the amount of paper in each is identical. 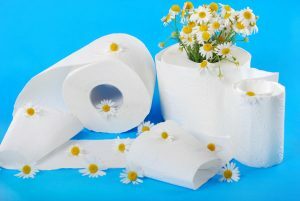 Considering the overall performance and the price of both types, it makes sense that 1-ply rolls are preferred as the money-saving option commonly found in commercial and business-like settings. Toilet paper with 2-ply sheets is stronger, more comfortable, and has superior water absorption abilities compared to 1-ply varieties. Additionally, if you have sensitive skin, or need a gentler tissue to prevent your skin from being irritated, using 2-ply toilet paper is recommended. Luxury toilet papers that boast of more than two layered sheets of paper can also be found on the market these days. 3-ply and 4-ply toilet paper rolls are readily available now, but it is important to think about cost performance since higher ply values also increase the price. Thus, it is imperative to find the right balance between comfort and cost. 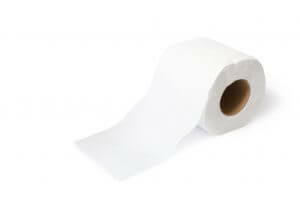 Another important factor to take into consideration is the materials that have been used to make the toilet paper. Usually, toilet paper is made from wood pulp or recycled paper products, and depending on the ingredients, the texture, quality, and the cost can change. Therefore, make sure you decide what material and quality you want to be paying for. Toilet paper primarily made from recycled materials is labelled as ‘waste paper’, ‘recycled paper’, or ‘recycled pulp’. If you are looking for the most cost-effective options to buy, then those made with recycled paper products would be the best for you. Generally, toilet paper made from recycled paper is rough due to ink and fibre damage, and inferior in colour quality because it is made without a bleaching agent. Of course, the texture can be improved by mixing more pulp into the waste paper, so you can definitely find toilet paper that feels good and is still eco-friendly. Toilet paper created from 100% pulp is made directly from wood and other materials that are not recycled. 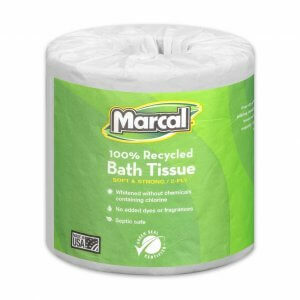 These kinds of toilet rolls carry labels such as ‘virgin pulp”, ‘pure pulp’, or ‘fresh pulp’, and although 100% pulp may not be as cost-effective as recycled paper, they feel much more comfortable. 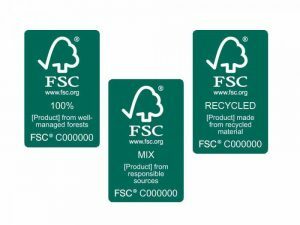 There is also some environment-friendly toilet paper which is made using 100% pulp because FSC certified products use timber sourced from appropriately managed forests instead of protected forests. Doing so does not harm the environment and results in the production of eco-friendly pulp products. Are you aware that the width of a toilet paper can also be measured to understand the size? If you do not have a lot of storage space and would like to keep toilet paper in a somewhat smaller place, the width of the paper is an important aspect that you should take into account. Although, for those who would like to reduce the frequency of replacing toilet paper, the length of a roll is the more important aspect. Recently many jumbo rolls have been introduced, and these tend to be 1.5 to 2 times longer than the standard length. The price for jumbo rolls is usually higher so the value for money does not change, but for places with high consumption, it is better to use such rolls as they do not have to be replaced as often. Toilet paper is processed in many different ways, some of which may not always be good for the environment. You will find a variety of toilet paper rolls available online that cater to distinct personal preferences. Special features you might be interested in could include the various colours, patterns, textures, and scents of the toilet paper. There are also variations in embossing techniques, moisturising effects, and deodorising agents, so keep all this in mind when you are searching for the right option. 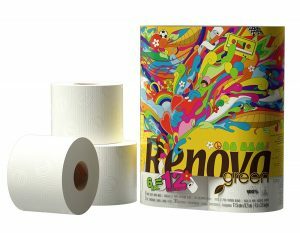 Most paper products today, including toilet paper, involve the use of chemical bleaching agents in the manufacturing process to increase the whiteness of the paper. If this concerns you, or chemicals cause irritation to your sensitive skin, then you should try a toilet paper roll with all-natural colouring and without bleaching agents. Embossing is a process that involves etching the surface of the toilet paper sheets to make patterns on it. 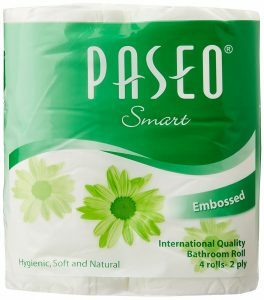 With uneven embossed textures along the length of the toilet roll, it is much easier to wipe away dirt and increase water absorption. Furthermore, embossing gives the paper a fluffier texture that provides a softer, cushion-like feeling. 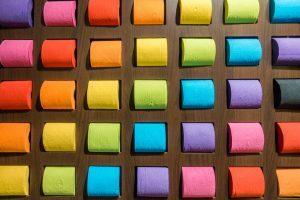 People who wish to brighten up their bathrooms can use colourful or patterned toilet paper rolls that add colour and design to an otherwise boring space. Choose patterns and interesting colour palettes to give your bathroom a luxurious appearance and maybe even bring a smile to your visitors’ faces. Scented toilet paper can make the whole bathroom smell wonderful. A light fragrance will not only work to counteract unpleasant odours but also have the added effect of creating a feeling of cleanliness. Just be sure to stay away from products with really strong scents as they could have an overpowering effect. Let us now introduce the top 10 toilet paper rolls that you can easily buy online. The items on this list are arranged in a ranking, and we are sure there are at least a few suggestions in this list which will meet your specific style and purpose. 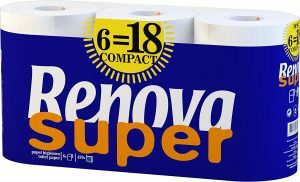 With 6 double rolls that are 2x the length of standard rolls, Renova’s environment-saving compact toilet paper is recommended for families and businesses that want to practice sustainable living. Made of 100% recycling materials that have already been used once, this eco-friendly product uses low-quality paper to save trees from destruction! Although bigger rolls require fewer roll replacements, people who do not wish to compromise on comfort are better off buying a different pack. This product is not for frugal shoppers hunting for best value deals either. Due to the high price tag that accompanies this product, this is not a cost-friendly option for everyone. Economy-Pack with Huge Discounts and 400 Sheets Per Roll! This is a great value for money offer on a pack of 10 toilet paper rolls with each roll consisting of 400 sheets. It has at least 2x the number of sheets compared to a standard size roll. These 2-ply tissues have flower pattern embossing on each roll, making them really soft and smooth. These rolls can also fit into any standard dispenser, so you do not have to worry about that either. Even though the exterior packaging lacks finesse, this multipurpose toilet paper pack will not run out quickly and will also be kind to your wallet. If you do not have much storage space though, we recommend looking into one of the other options listed here, as this particular product is quite chunky. This veteran brand makes FSC certified toilet paper, which includes 330 sheets of 2-ply paper per roll. Each roll in this 4-pack is approximately 1.5x bigger than the standard size and features a higher level of sheet thickness than the industry standard. With this pack, expect to get more thickness, better absorption, extra cleanness, and greater value for a cheaper price. Hygienic and competitively priced, this product is perfect for families and businesses in search of a functional and economical toilet paper option. It is reliable and sturdy, with no fancy embellishments or additional features. People who want more of a ‘wow factor’ though, should opt for toilet rolls that are more aesthetically appealing instead. Affordable Blue Coloured Toilet Paper! This reasonably priced pack of 4 toilet rolls is available in two colour options: blue and white. The product is remarkably soft and comfortable with a delicate texture, which makes it easy to use. Each of its 2-ply rolls consists of 150 embossed sheets and has good absorbency. Unfortunately, due to the inclusion of chemical agents, it may irritate sensitive skin. With a combination of colour, softness, and high-quality cleaning, this pack is suitable for families. 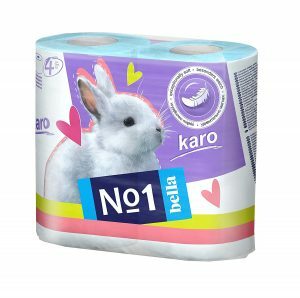 Although, Bella No 1 rolls can also be purchased for business premises as it delivers good cost performance. However, with limited colours, and blue rolls only being available in the 4-pack variety, this is not the best option for bulk, commercial usage or for those who want more choice for colours. Great Value for this Delicately Embossed Variety! This pack of 4 rolls features thin delicate sheets that are perfect for sensitive and easily irritated skin. Made with plantation fibres, this natural toilet paper is hypoallergenic and shows no trace of chemical additives. 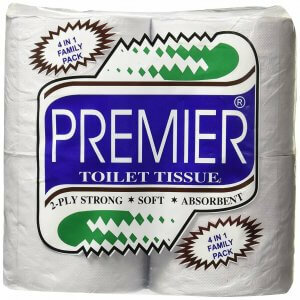 As the cheapest option on our list today we guarantee that the superior softness it offers is unmatched by any other 2-ply embossed variety. With 200 sheets per roll, this option is best for small families or individuals who prioritise the soft and delicate feeling of toilet paper. This pack is not recommended for commercial settings with many visitors since the rolls are known to run out quickly and would require frequent replacements. Save Space and Salvage Time with these XXXL Rolls! 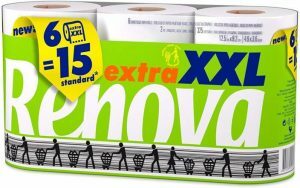 With 6 compact rolls that are 3x longer than normal, this pack is equivalent to 18 standard sized 2-ply rolls! That means you won’t run out of toilet paper or need to replace rolls as quickly. By purchasing this product, you’ll be making a bulk purchase that does not need any extra storage space. This pack is recommended for large families or commercial places which are frequented by many people. However, due to its size, it is not the best choice for those who are looking for travel-friendly options. This product is known for its premium paper quality and for being gentle on the skin. Featuring a mild scent, these standard sized rolls come in different colours and give off a fresh and clean aroma. Its 3-ply structure is ultra-thick, absorbent, and promotes long-lasting softness. This luxury product is recommended for use by smaller families or in non-commercial settings. Wrapped in 100% biodegradable packaging, highlighting a chemical-free and environmentally conscious design, this product does not compromise on quality nor functionality. 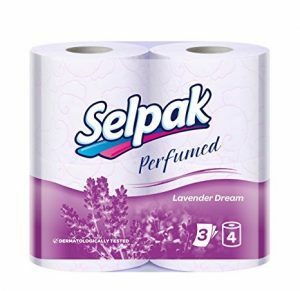 However, since the rolls are scented, you should consider one of the other options on the list if you are in search of a non-fragrant variety. Another product which has received amazing reviews online, Solimo’s 3-ply toilet rolls are strong, smooth, silky, and soft for sensitive skin. With no dyes, fragrances, or chemical agents used, it is the best choice for people who are prone to skin irritation or skin allergies. The silky smooth texture is gentle on the skin and works efficiently to soothe away discomforts. 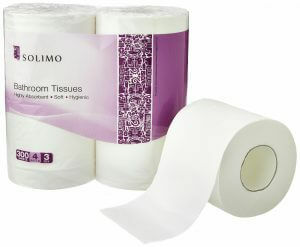 We recommend using Solimo in bathrooms most frequented by children and the elderly. This product is suitable for both large families, as well as businesses since it has 300 sheets per roll. 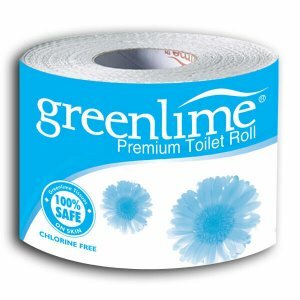 With large rolls that will not run out very quickly, these toilet tissues are 100% safe, hygienic, and work well for any age group. Amazon’s #1 Bestseller in Toilet Paper Features a Dozen Rolls! The second best toilet paper we recommend is this convenient Origami family-pack of 12 standard-sized rolls. With 160 sheets in each 3-ply roll, these super soft toilet rolls with high absorbency are well worth the storage space they occupy. Hygenic, safe, durable, and of superior quality, this product from one of Amazon’s bestselling brands will bring optimal comfort to your home. Created with Indian plumbing and infrastructure in mind, these toilet rolls are well suited for both commercial and private buildings with narrow pipes and older plumbing systems. Rest assured, this eco-friendly brand will reduce the risk of clogged drains, as their sheets dissolve easily when flushed. Amazon’s #1 Choice for Best Toilet Paper, with 150 Extra-Long Sheets Per Roll! 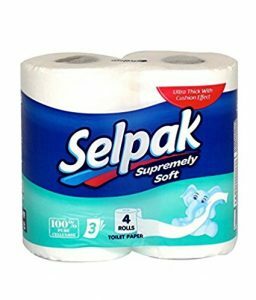 This Selpak product is Amazon’s popular choice for best toilet paper, and it takes the coveted number one spot on our list too! This pack of 4 white toilet rolls is not only unscented and chemical-free, but it also has a longer sheet size than other standard rolls. With 150 extra-long sheets per roll, its biodegradable packaging and environment-friendly sources are what make this purchase truly worthwhile. It is undoubtedly perfection on a roll. 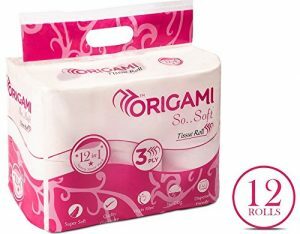 With a thick and absorbent 3-ply structure, this not only feels delicate and soft on sensitive areas but it also effectively cleans the tougher areas. A great way to keep track of your family’s hygiene and safety needs, without compromising or worrying about the quality and effectiveness. Whether you live alone or with your family, this product is perfect for people who are in search of excellent functionality, luxurious quality, and a superior feel. When it comes to buying toilet paper for your family or your business, the strength, softness, thickness, absorbency level, durability, and dissolving power are all factors that require careful consideration. We hope you were able to find the right toilet paper roll for your needs from the recommendations we have provided above. Buying toilet paper is, after all, a matter of conscious choice and personal preference. From the number of plies to the texture, size, and colour of the sheets, we are confident you now have enough knowledge to choose which features are best for you.